Today was officially our last day in the U.S. along with our last day of training. 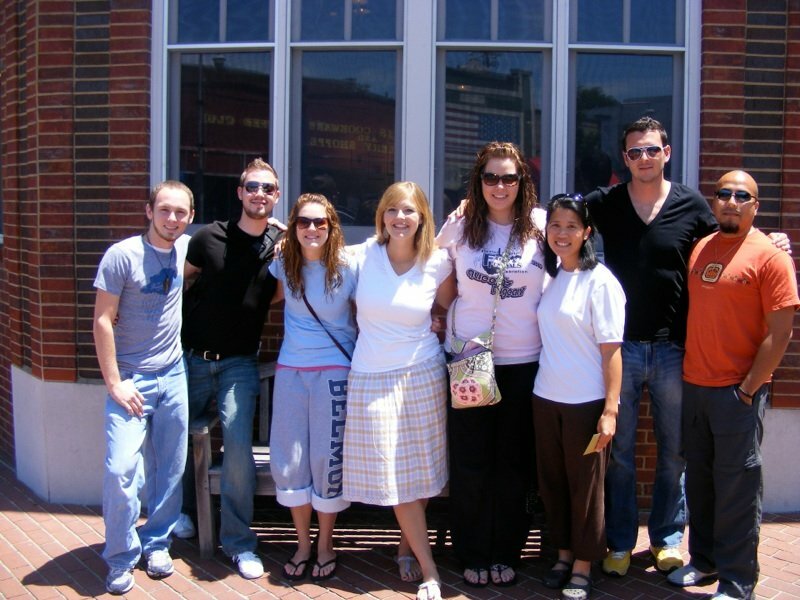 We started out the day by having breakfast at the world famous Pancake Pantry in an upscale neighborhood in Nashville. Above is our team picture: (from left to right) Ross, 20, from Baton Rouge, LA; Wes, 23, from Sinclair, OH; April, 20, from Dallas TX; Melissa, 25, from Nashville, TN (she won’t be joining us until we get to Malaysia); Amber, 22, from Sutton, WV; Josie, 37, from Los Angeles, CA; Ted, 27, from Dayton, OH; OH; and me, Omar, 28, from St. Pete, FL. After that, we picked up our luggage (7 Suitcases, 7 Carry-Ons, 2 Guitars, 1 Djembe Drum) and made last minute runs to Target, Wal-Mart, BestBuy, Kinkos, and three different banks. Dinner, email, and last minute phone calls to family and friends and we were off!